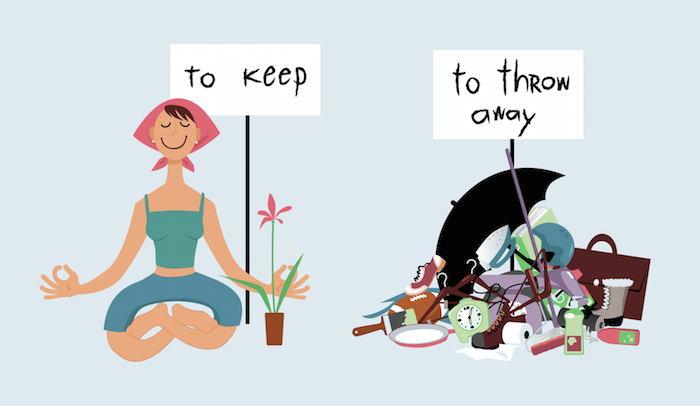 You are here: Home / Decluttering / Do You Own 300,000 things? While I have no desire to cut back our stuff to that extent, many of the points in the movie really resonated with me. As our worlds become more full of “stuff” are we losing space for things that really matter? Are possessions taking the place of relationships? Does what we own bring us joy and purpose or is it just another burden? At the moment my house is chaotic. I have no storage (we are mid renovations), nothing is organised, I can’t find things when I look for them. As I look around I can’t help but wonder if I really need half these things I own. Sometimes I dream of throwing it all away and starting from scratch. Obviously my budget isn’t going to allow that but I do wonder how much I could get rid of and how much easier that would make things. Less stuff to store, less stuff to tidy, less stuff to look at and sort through. Just less STUFF. According to The Minimalists (who got the stats from some expert quoted by the New York Times… so it may or may not be reliable), the average household owns 300,000 items. That includes everything from paperclips to furniture. I fear I may even own more! Based on this figure I’ve decided I’m going to get rid of 300 items over the next 30 days. That’s 10 items a day. Technically I’m actually going to get rid of 10 items for me/my husband/the house and 10 items for the boys, so 600 items. While that sounds like a lot it is actually just 0.1% (or 0.2%) of the total household items for the average house! How’s that for crazy. If you’re keen to join me I’ll be sharing my journey on Facebook & in the Facebook Group Here. Feel free to join in!